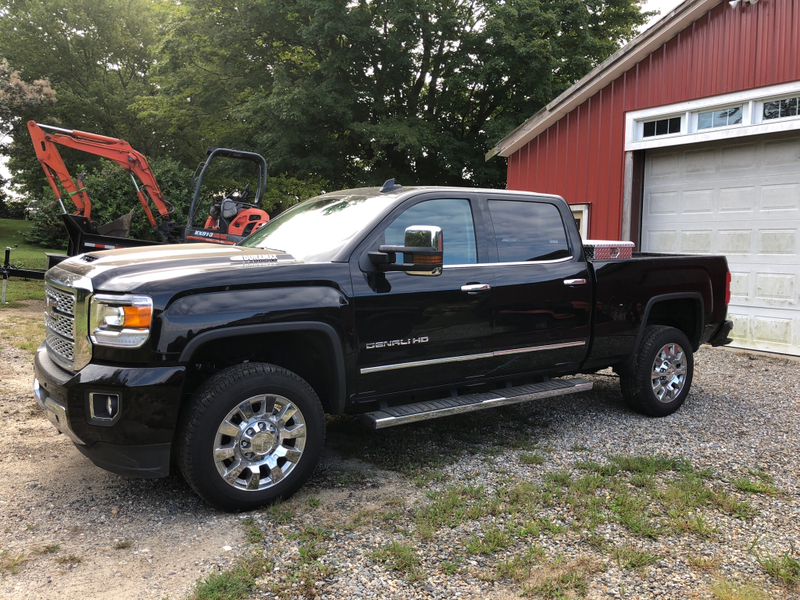 Looking to pick up a new truck. I havent been keeping up with GM's updates have they worked out the bugs yet? Lots of emission issues previously reported on them right? Haven’t had any issues with mine. Shifts nice, albeit it is different from the previous gen’s shift strategy, pulls like a freight train, and I’ve added 5 gals of DEF in about 6500 miles. It does use more than either of my LMLs, but it is slowly using less. I don’t tow often, but the miles are 90% highway. Avg. speed is right at 52 mph at the moment. I really wanted a new denali. When I was looking i seen them cheaper than that but then again we're on opposite sides of the country. I have talked my self out of one though. Just simply because of the payment, old lady wouldn't let me buy a new dually, and I thought the cab had a lot more room in them then they actually do over my 13. So I'm building my motor in the lml and running it till the body falls off..
New on this forum. Always ran Cummins... friends say this is best Dmax site. I’ve got a new job that came with a 2018 Denali. I don’t know much about Duramax/Allison. I’m here to learn. Lots of power, probably faster than it feels because it’s so comfortable. At 1500 miles DEF was low, said it had 50 miles left. Not sure if dealer filled it originally. No particular shifting issues I’ve noticed in normal driving, but I’m used to a 6 speed manual. Towing 10.5k it seemed to lack snot going uphill on the highway. Seemed it should downshift but didn’t. Overall I’m happy so far. But I can’t wait til we can juice these beasts!!! Welcome. Congrats on the new job. Your a lucky man. If my job came with anything I'd be stuck in a Ford f550 service truck.. Thanks, had a van at my last job. This was part of my new employers bargaining to get me to come work for him. Seems a shame to use this thing for work, but I’ll take it.